I picked up a Raspberry Pi this week and had fun connecting it to a Siren of Shame. Naturally the Model B+ with 4 USB ports came out the day after mine arrived. Regardless, I had fun setting it up. If you're interested in trying it too here's what to do. 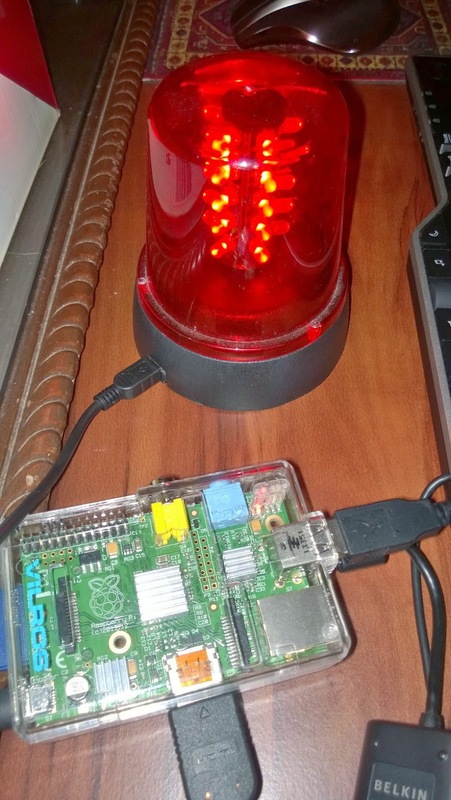 You'll need a Siren of Shame device and a Raspberry Pi that's running and connected to the Internet. Element14 has a great getting started set of videos if, like me, you're completely new to Raspberry Pi. I used the Raspbian OS, but theoretically it shouldn't matter what OS you use. Incidentally, rather than using node-sos-device directly, we will be using Joe's higher-level node-sos-client, which knows how to monitor Jenkins and Bamboo CI servers. I hope you've enjoyed and are now on your way to terrorizing your build breaking colleagues, even when you're not at the office. Enjoy!